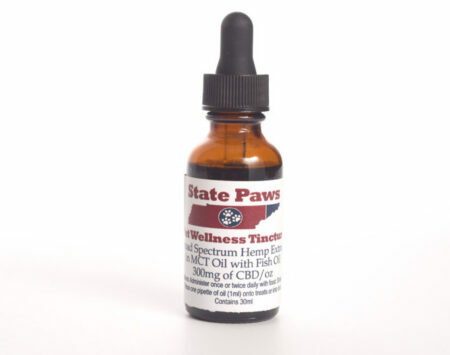 CBD (non-psychogenic hemp) may help with your pooch (or yourself) with joint pain, anxiety, seizures, inflammation, skin issues, stress, and may protect the nervous system. It will not get your dog high. We have found regular use gives the desired effect versus spot dosing. 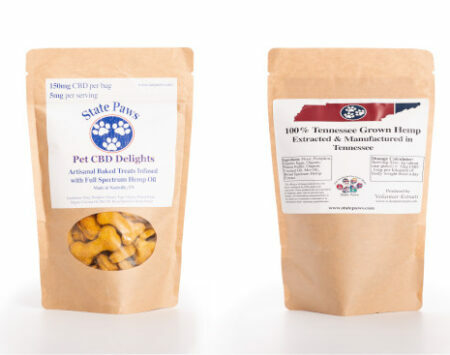 Please check with your veterinarian prior to starting CBD oil or edibles. For example, if your dog weighs 50 pounds, that is 22.68 kg. That would be 0.1mg x 22.7 =2.27, round up to 2.3 mg of CBD twice a day. You will likely start to see subtle differences in your pet within a few weeks. You can titrate up slowly (weekly) if needed for the desired effect. The desired effect for our dogs was less panting, able to get up much easier, improved appetite, and started greeting us at the door again! You will not overdose your dog on CBD hemp oil. However, if you give too much, you may notice drowsiness, increased thirst, or it may interfere with the metabolism of other drugs your pet is taking. These treats have approximately 10 mg per treat with about 15 treats per bag. This may vary by the weight of the treat. 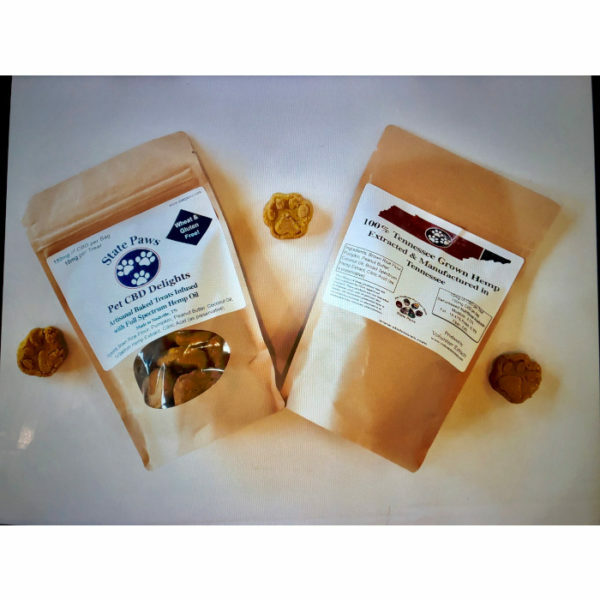 Be the first to review “Wheat Free Pet Delight Treats” Click here to cancel reply.